With various reasons keeping them off the Green Archers, the Rivero siblings and Brent Paraiso decided to raise the bar and join the FIBA 3×3 tournament. The negative comments received by the Green Archers seemed to fuel them to step-up and join the international league. “I know myself, and I would never do such a thing. I believe this is all part of God’s plan,” says Ricci who sees his haters as motivators, which aspire him to further improve his game. Since the athletic guard was cleared as a prospect to join the Gilas 2023 pool due to his stellar UAAP performance, coach Chot Reyes granted the three players the chance to represent the Philippines in the upcoming FIBA 3X3 under-23 Asian Championship. “This opportunity will truly attest to his [Ricci] ability to show leadership in the court,” says the inauspicious coach. This will be the 25th edition of the tournament which will be held in Bangkok, Thailand from August 5 to 11. “Magandang opportunity ito for us since the world sees us as trash, now will be a great time to redeem ourselves and prove na we’re not guilty of any controversy,” explains Prince. 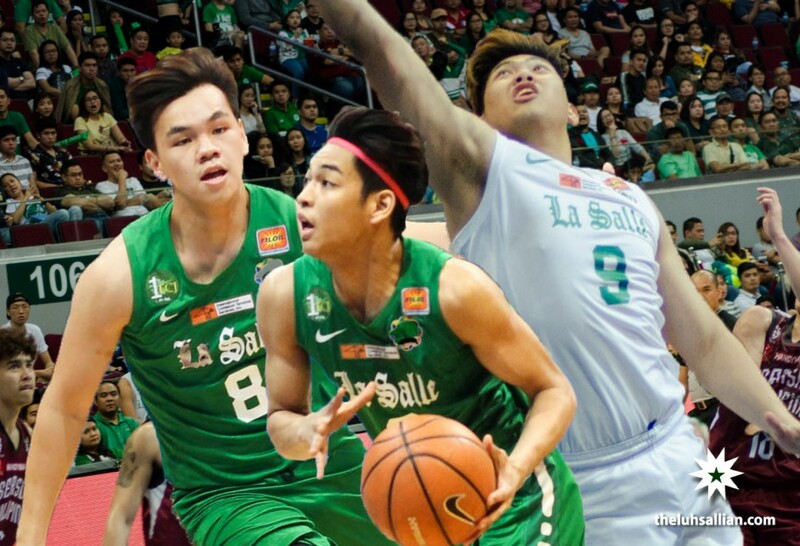 With different reports regarding their suspension, the Rivero brothers, Ricci and Prince along with Paraiso continue to receive backlash from fans and the Lasallian community. With reports of drug use, reports have surfaced that it is in fact new team policies that are keeping them off the team. The management of the DLSU Men’s Basketball Team released a statement that the involved athletes violated a policy which prohibits players from entering into sponsorship agreements with commercial entities and said that the three Lasallians requested to leave the team in honor of contractual obligations to their existing endorsements. The group stayed out of the picture through the whole month of February until the sophomore Rivero broke the silence with a statement regarding the issue. He emphasized his love for the sport and that he will never jeopardize his career. Five days later, Paraiso also came up with his own announcement contradicting the current issue. Both players also presented a test result portraying a negative result in drug use which seemed to be tested in a legitimate drug testing center. Exiting the DLSU squad and deciding to join the FIBA 3×3 tournament was a tough decision, admitted Ricci. He said he wants to show the Green Archers what they were missing out on after he plays his heart out in the 3×3 tournament. “I want them to regret the situation that we’ve been put in, and I want them to ask us to come back.” He also adds that he would put on a show in the 3×3. He wants to play in such a way that everytime they see a move, they say “Oh, that’s Ricci Rivero, the player we lost.” He wants the Green Archers to feel dismay everytime they see someone do the Euro-step. Not wanting to look back, Ricci and his brother, along with Paraiso, look to soar to greater heights after they promise to put up a performance worth watching in the 3×3. Amid all these controversies, it is a pleasing sign to see these Lasallians get through such a sticky situation in a mature manner. Instead of giving in to the hate, they used it as fuel for their own self growth. They vow to get to places, and to never look back. This act is bound to hurt the La Salle side, but they are sure to be supportive in the decisions the Rivero brothers make in their future.